Lirael and Sam continue their journey through to stop the necromancer Hedge from raising an evil that will destroy both Ancelstierre and the Old Kingdom, and to save Sam’s friend Nick. Both Lirael and Sam must find who they are in order to stop Hedge, and combine their powers with others, such as Sabriel and Touchstone. “Watch over my body while I’m gone, please,” said Lirael. I read this a few weeks ago, so my review is a little (okay, a lot) late. 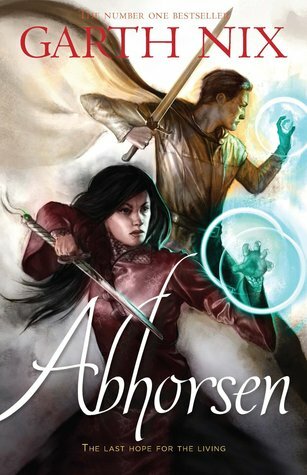 Abhorsen moves a lot slower than the previous two books in the series, although none were what I’d call ‘rushed’. It created a nice end to the trilogy, although I have since discovered there are additional stories set in the Old Kingdom. Sam and Lirael work very well together, and the comraderie and competition between Mogget and the Disreputable Dog made me laugh. However, I felt a choice had been taken away from Lirael towards the very end, and while it was a lovely way to end the series and provide information to the reader, it somehow felt bittersweet.